From film historian Thomson, a look behind the scenes at the legendary Warner Brothers film studio, where four immigrant brothers transformed themselves into the moguls and masters of American fantasy. Part of Yale University Press' Jewish Lives series. It is the not quite hidden theme of this book that as much as the newly arrived immigrant Jews attempted to make themselves and their industry American, their ultimate accomplishment was to make America Jewish. I do not mean merely that Mr. Thomson recognizes that the new medium taught those trapped in the dark how to dress, think, behave, and what was good and what was not. Nor does he restrict his critique to saying that under the guise of accepted morality, the available technology was in fact 'dynamic and disruptive . . . cater[ing] to loneliness, instability, and escape.' No, he quite consciously intends to demonstrate that it was the immigrants themselves, and specifically the Warners, and most specifically Jack, who were filled with 'instability,' ruthlessness and 'dangerous energy.' It was those attributes that would come to characterize not just their studio, founded in 1923, but also the country that watched their films ... As this fine book progresses, Mr. Thomson turns his attention away from the brothers and their studio and onto individual actors and films. These form a remarkable series of critiques and vignettes—cranky, idiosyncratic, sometimes improbable, but always ingenious, and now and then inspiring. He doesn’t miss anyone or anything ... Jack is lucky to have a man who has brought a lifetime of sitting in theaters, shellacked by the beams of the projectionist’s light, and who has thought so deeply and eccentrically and opinionatedly and ultimately so brilliantly about him. We, his readers, are lucky too. This is a fascinating idea — that the creative forces behind large portions of classical Hollywood might be not the writers or the directors but those misunderstood vulgarians, the studio heads themselves — but it is not new to Thomson. Warner Bros owes a debt to Neal Gabler’s 1988 book, An Empire of Their Own, one of the great works of film scholarship in the last 30 years...The question hovering over Thomson’s book is thus: Does the thesis gain strength for being narrower in focus?...Thomson is a British critic whose powers of thumbnail portraiture and plush, velveteen critical judgment are on vivid display as he brings the brothers to life ... How much credit for these films lies with Jack Warner is unquantifiable; at times the implicit thesis of the book — interpreting the entirety of a studio’s output as the creative oeuvre of its owner — courts tendentiousness. 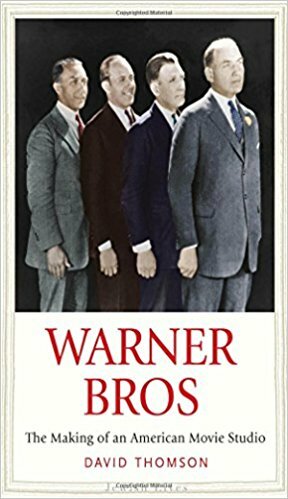 There are large sections in which the brothers are either absent or stitched in as an afterthought ...For those wanting a more thorough unpacking of the Warners’ complex relationship with their Jewish heritage, Gabler’s is the more impressive achievement. But if you want to toast a scoundrel, this book’s portrait of Jack Warner is as vividly inked as one of the studio’s cartoons. ...his book makes the convincing case for why, in his words, 'this subject is more important than respectability.' 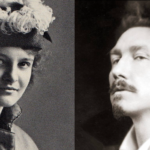 Some of the best popular artists (think Charlie Chaplin, Josef von Sternberg or Alfred Hitchcock) were notorious megalomaniacs, men of ill repute. Yet their art lasts. Thomson makes you see why Warners deserves to be at the top of the pile. Maybe it’s exactly because Thomson spends less time on the brothers’ biographical personalities that his book works as an investigation into the American cultural psyche ... Thomson is best in the early parts of the book, when he takes a look at how the Jewish and folk values the Warners stood for manifested themselves in their socially conscious films ... Thomson is best when he waxes lyrical on movies he unapologetically loves ... Thomson’s book testifies to that obsessive pursuit — like Ethan Edwards pursuing Debbie in The Searchers (1956), another Warners picture — of trying to pin down a beautiful past that one knows is gone. But never dead. What did you think of Warner Bros: The Making of an American Movie Studio?